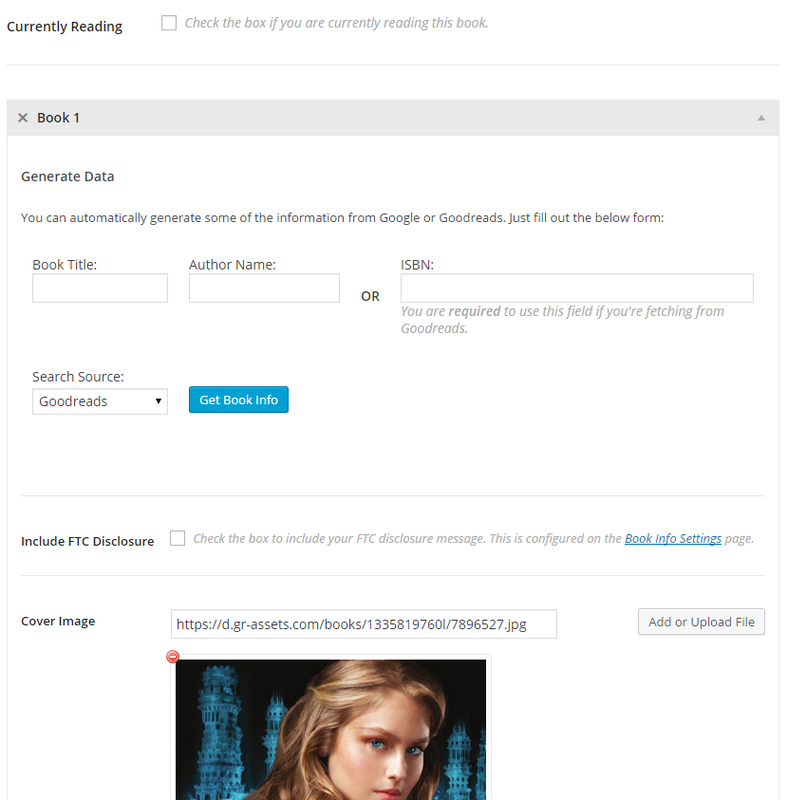 You can easily add multiple pieces of book information per post. This is perfect for doing mini reviews. Then, go to Posts » Add New to create a new post (or edit an existing one). You will see the main UBB fields at the top, as usual. Fill these out for your first book. If you have the setting turned on to automatically display book info, this is the book information that will be added to the top of your post automatically. To add your second book, keep scrolling down until you see a new section titled Book 1. This title is a little deceptive, because it is actually the second book—not the first. This section has the exact same book information fields. You can fill these out as well to add a second book. Remember that you also need to add the author, series, publisher, genres, etc. into the sidebar on the right. You should be entering both sets of data in those fields. See how I entered both author names in the "Authors" field? And only one of those books is a series (Throne of Glass), which is why there's only one entry in the Series box. And both books are published by Bloomsbury USA Childrens, which is why that's the only publisher selected. But had they been published by different companies, I would have needed to check two different publishing houses. That number 1 should correspond to the number that's in the book section's heading. So remember how it said Book 1 before? That's how you know to put a 1 in the number parameter. To add a third book, scroll all the way down to the bottom and find the "Add Book" button. 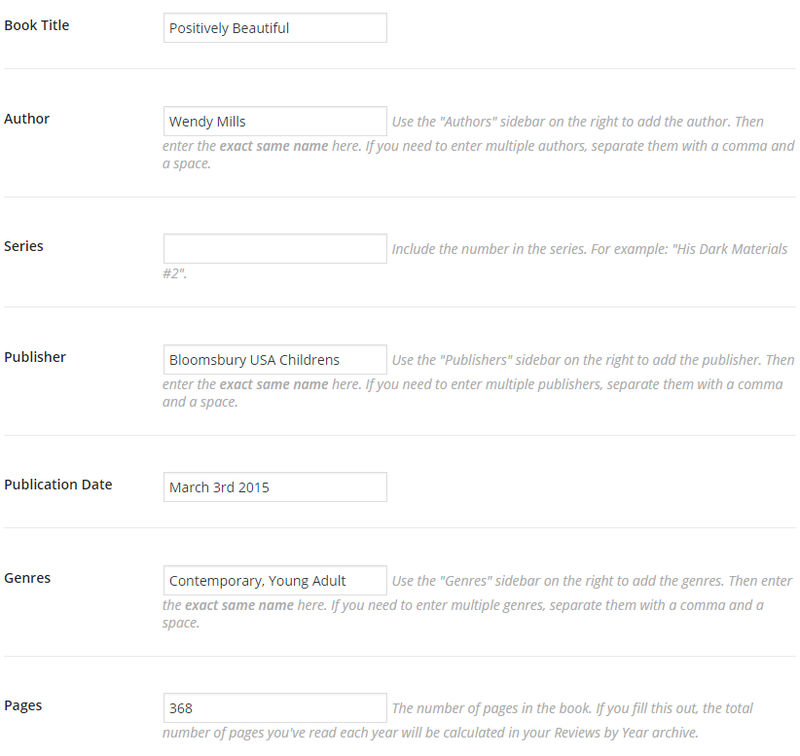 Click that to add another row of book information fields.